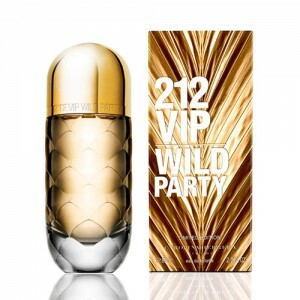 Carolina Herrera 212 VIP Wild Party is sure to please all the girls. 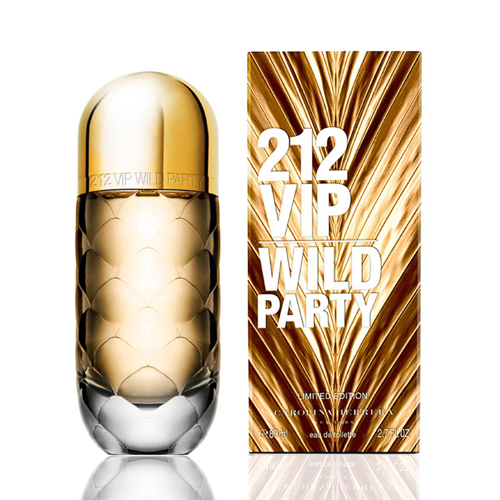 Carolina Herrera 212 VIP Wild Party 80ml. Eau De Toilette beckons with its flower-fruit extravaganza. It is a magnificent and complex aroma, in which every time there are different shades and aromatic tonalities. In the wonderful trio of orchids, roses and orange in the distance, the soft bitterness of grapefruit is guessed. After a while, fragrant pineapple sweetness comes to the fore. Each breath of perfume reveals more and more new shades, seasoned with languorous woody notes and sensual musk. This is a perfume for those who do not like to reveal their secrets at the first meeting. This is a closed book, which you really want to read. Perfume enchants, excites, beckons and triumphs, battling all those who have been fortunate enough to inhale his delicate fragrance. The fragrance is prepared especially for summer holidays, unforgettable encounters with friends and crazy parties, where champagne flows like a river, and a smile and optimistic mood do not leave you. It is a fragrance for modern girls, effective, cheerful, emotional and even impulsive. The authors made the aroma as exotic and unpredictable as if it were a summer cocktail that finally turned your head. Carolina Herrera is a youth brand, these fragrances are nice to give and receive as a presentation. The formulas of the new compositions are very modern, they reflect the essence of megacities and give you a charge of frenzied energy and optimism. Enjoy the summer, catch every world of this beautiful life, and give each other love, because it is love that opens us new facets for creativity and little follies!